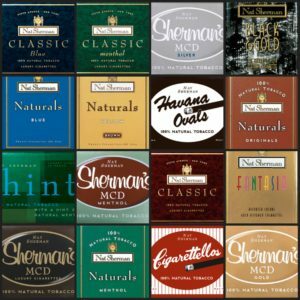 Since the beginning, Nat Sherman Cigarettes have been manufactured with only the finest 100% natural tobaccos. They select only the highest quality grades of 100% natural tobacco to craft our cigarettes. Through a “primary” process, they blend, cut, and condition their tobacco to our exacting standards. Their signature blends are created by combining several varieties of hand-selected tobaccos. None of their cigarettes contain any additives; they use nothing more than water and steam to bring the best leaves to perfect consistency. This “cut rag” is then transferred to their manufacturing facility in Greensboro, NC, where the tobacco is once more tested for aroma, taste, and humidity content. We have a large selection of specialty Roll you own loose tobaccos. 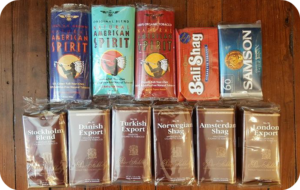 Some of our most popular brands include: Samson, Bali Shag, American Spirit, and Peter Stokkebye’s; Stockholm Blend, Danish Export, Amsterdam Shag, Norwegian shag, and London export. 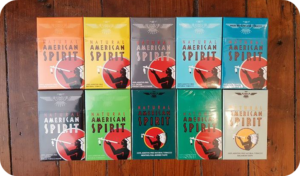 Natural American Spirit offers various types of select filter cigarettes which are all color coded, and are 100% additive free. American Spirit also has a Perique Blend Filter cigarette, which contains 10% Perique tobacco, and an Organic Filter cigarette, which contains organic tobacco. Natural American Spirit also offers several “Roll Your Own” tobaccos in tins and pouches, which include cigarette rolling papers. Dunhill International cigarettes are a luxury brand cigarette that uses only the best and most premium cuts of tobacco. 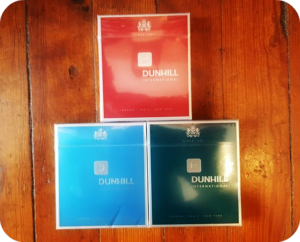 The current Dunhill King size beveled packs come in full flavor, light and menthol, and are available only in the United States through specialty tobacconist shops. Djarum Mild: Modern, Unique and Smoother in Taste. Djarum Mild combines the heritage quality of natural grown clove and tobacco to give a sophisticated mild body to the already popular taste of Djarum Special Cloves. Djarum Bali Hai: The Djarum Bali Hai is made of natural Indonesian spices and tobaccos. It gives you a breezily warm, sweet sensation with an exotic taste, for your smoking pleasure. Djarum Special: Djarum Special is created from a blend of perfectly aged cloves and tobaccos with exotic special spices. Uniquely suited for special occasions, this brown paper Clove cigar is still one of the most popular and aromatic. Djarum Black: Made of the finest natural-grown cloves and tobacco with a spicy aromatic taste, Djarum Black exudes sophistication, modernity and boldness. This black paper Clove cigar is much-loved by Djarum fans. 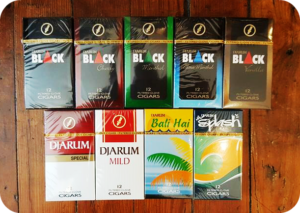 Available also in: Djarum Black Cherry, Djarum Black Vanilla, Djarum Black Menthol, and Djarum Black Ultra Menthol. Djarum Splash: Djarum Splash is made of select cloves and tobaccos. It gives a splash of fresh, sweet aroma with a pleasant taste, for your smoking enjoyment. 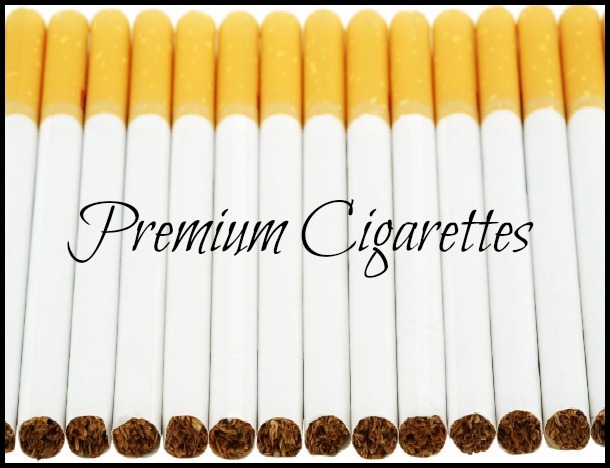 We also carry a few other brands of cigarettes that you may not be able to find around town, including but not limited to Lucky Strike non-filter, Camel non-filter, and other many others.